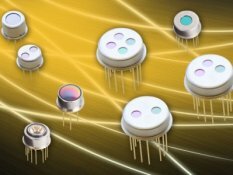 Our lithium tantalate pyroelectric single and multi-element infrared detectors are developed for use in gas analysis, spectroscopy, pyrometry and security applications. Many types of infrared sensors manufactured in volume production are available. Beyond customized infrared sensors solutions are possible.